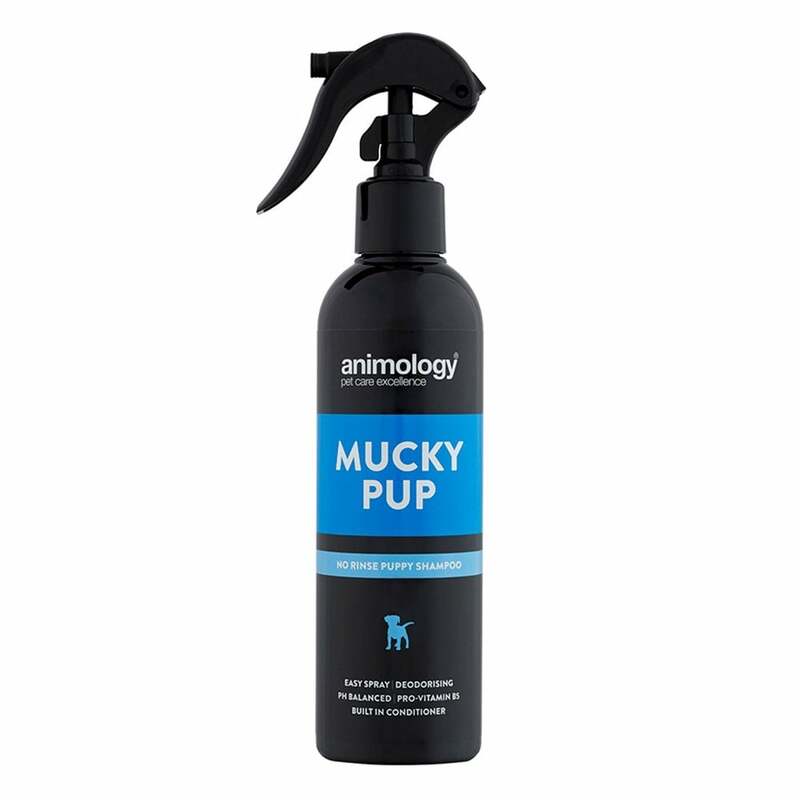 The Animology Mucky Pup No Rinse Shampoo is a mild, pH balanced, no-rinse puppy shampoo suitable for use on puppies from 6 weeks old as well as for use on older dogs. Ideal as a 'spot cleaner', the spray effectively loosens dirt and freshens the coat. Simply spray it on your puppy's coat and groom it through. Mild and pH balanced this spray deodorises with each spray and is a great way to help keep your puppy clean between washes. Features built in conditioners and pro-vitamin B5 to promote a healthy coat.